Beautiful shabby Christmas stocking crafted from a rescued vintage quilt. 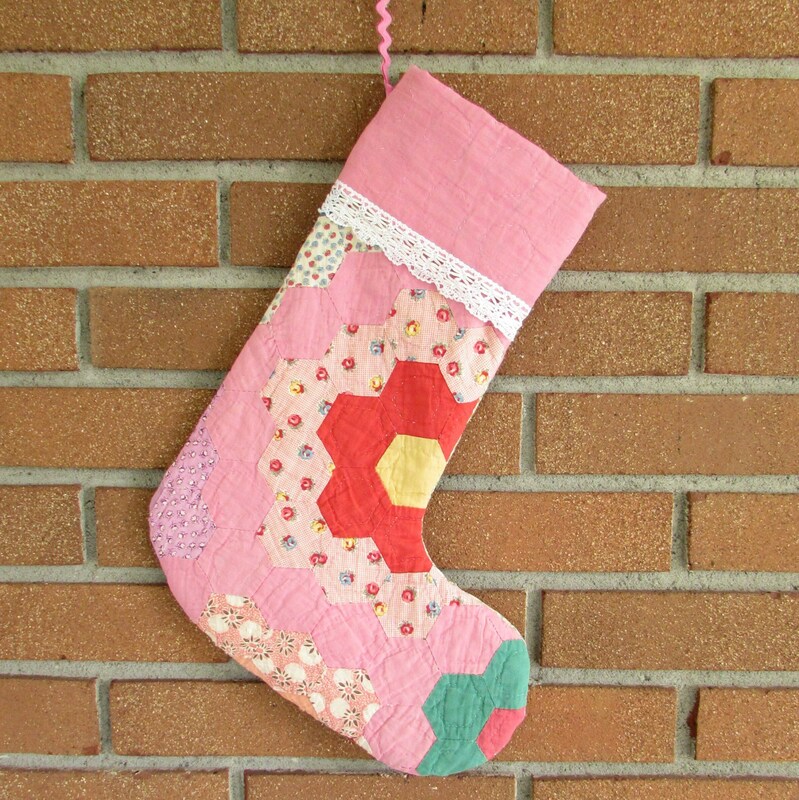 This quilt was on its last legs -- I took the good bits and made a stocking! 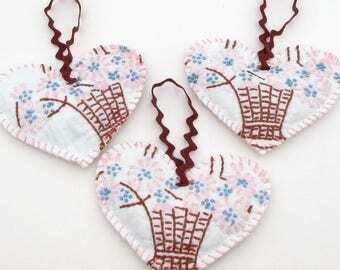 It has a cuff trimmed with reclaimed vintage lace, and a pink rick rack loop for hanging completes the look.